Data collected from Episode 130 of Reclaimer has been transferred online. Hit the link below to download it to your neural network for analysis. A new Halo 3 Machinima Short by FireDragon04. FireDragon04's new Halo 3 Machinima Short called Dark Side, Lets the viewers take their own interpretation away from the video, or "it follows a very confusing un-linear story and doesn't explain anything but lets everyone take away their own conclusion to the video". The only way I'd play......is if my driver was Halle Berry. The latest Bryan Simon song was debuted during the Halo Community LIVE event. If you missed it, or if you loved it so much you couldn't sleep last night because you wanted to see it again, here ya go! Happy New Year everyone!! The Gun Pointed at the Head of the Squad. While we've been away celebrating, DeepCee's been hard at work making new ODS Steve episodes. Even the holidays cannot stay his pen. Check out a brief description and the links below. Delta Squad gets some heavy firepower which might end up being a bad idea. If your wondering why one of the squad members has some fancy new Armour, you might want to check out episode 7. Rock the 2008 Best of Halo Awards Vote! Voting has begun. Make your voice heard! Ready to start voting? Hit the jump to rock the 2008 Best of Halo Awards vote! The Top 10 Series is back this week with an assortment of the best sticks submitted by the Halo community. Enjoy the sticks and make sure to watch next week for when the Top 10 Series counts down the ten best suicides in Halo 3! If you're the type of player who demands more from a Post Game Carnage Report than most - delving into the intricate numbers that serve as the detailed historical account of your Halo 3 Matchmaking experience, you're probably already familiar with HaloCharts.com. But you may not be familiar with the man who makes the magical mathematics happen behind the scenes. Luckily, we're going to pull back the curtain for a few brief moments and give you a peek at the mathemagician powering the pedals. Try not to stare. Firestream had been doing stats since before stats were cool. October 2007. Represent. A. I go by Firestream online and in "real" life I'm a full-time .NET programmer for a small company. My biggest hobbies are websites and art. I have quite a few sites, including my personal art site FrontLevel.com and another site you may have heard of, HaloCharts.com. Q. You're quite the industrious and artistic fellow. How did you come up with your gamertag? A. The name Firestream comes from another site that I created, Firestream.net. It's a community of Christian Music lovers, focusing on Heavy Rock & Metal. It's a pretty active niche community site that I've been a part of for five years now. I came up with the name one night and it has just stuck since then. Q. So, you've got the charts and the arts. Where else do you do online? A. I'm usually lurking the Bungie.net forum, the HaloCharts forum, Hawty McBloggy's blog and a few others. I rarely post on any of them though. I love reading about crazy stories of things that happened in online Matchmaking. I also like seeing what kinds of things the community makes, screenshots, maps, game types, etc. Q. You seem to already have plenty of creative outlets. What is it about gaming that compels you to invest your time? A. I love a good storyline, so I play a lot of games for the story. I also love playing co-op games because there's just something extra fun about playing with friends. Getting the Halo 3 Annual achievement was some of the best fun I'd had online in a while. We have an Xbox 360 at work (a perk of working for a small company), so my co-workers and I game during lunch very often. Q. Yeah? We get 360's and pizza. I digress. What was the first Bungie title you played? A. I actually played Marathon some during High School. We had a Mac lab and the game was installed on all of the computers, so after school a bunch of us would stay after and have some LAN matchups. Later on I played some Halo: CE and Halo 2 with some friends, but didn't start playing Halo regularly until Halo 3 came out. The gameplay is what really sucked me in. I've never seen such a dynamic, balanced game as Halo. Q. Speaking of being sucked in, are you surprised by your level of community involvement? A. I'm very surprised of it. I never imagined that my site, HaloCharts.com, would grow to the size that it is. I started the site because I enjoy working on websites and love Halo 3, so to see it grow on a daily basis has been fantastic. I've been able to play games with some of the best players out there. I've been contacted by people I never imagined getting to meet. I'm glad that I've been able to create something that people find useful, but it wouldn't have been possible without Bungie's awesomeness. Q. Are you involved with any other awesome entertainment-related communities? A. As I mentioned earlier, I am also involved with Firestream.net, which is a very active Christian Rock & Metal community. So if you're into that kind of music, check out the site! Q. Anything to add? Shout-out? A. I'd like to say that I've never been part of a better community than the Halo Community. Also, I'd like to give a big shout-out to all of the people out there that support HaloCharts.com! There are quite a few people that spend a ton of their personal time on the site, keeping it going, keeping the peace, and providing ideas. I'm looking forward to seeing where the site goes during the next year. Thanks to Firestream for taking time away from tinkering with his websites to answer a few questions. After spotlighting Halo3.Junk.ws we had more than a few forumgoers wondering why we weren't profiling Halocharts.com. Well, here you go. Don't say we never did anything for you. The Halo Community Live show we wrote about a few days back is set and ready to air tonight. Head on over and check out some live stuff from DarkspireFilms, Halo 3 Mythbusters, CMNeir, Bryan Simon, and many, many more. Tickets are free! The event will go live at 7:00 PM EST. ...in this case, screenshots. Though the Flood's transmogrified habitats don't always make for what most of us would consider picturesque scenery, there's no doubt that the insatiable species can be a sight to behold. Whether it's the Flood forms themselves or the implements used to eradicate them from existence, beauty is always in the eye of the beholder. Problem is, sometimes that eye becomes food. 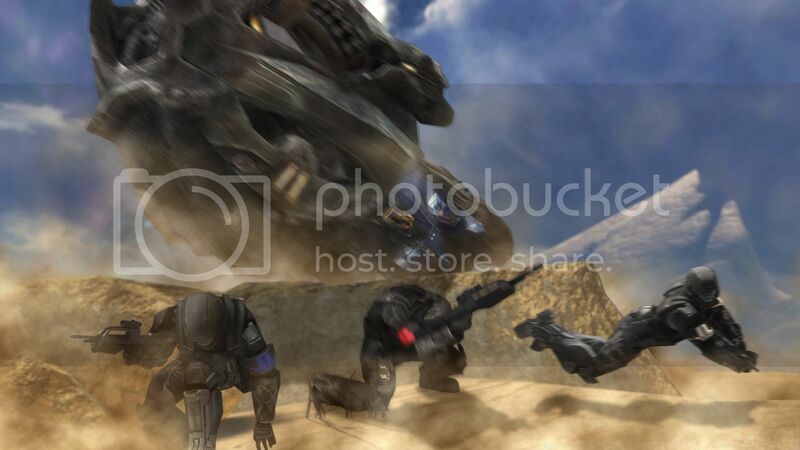 No need to enact containment protocols on your designs to find sweet Halo 3 screenshots. The array is online and ready to fire. Initiate the All Tags sequence at your leisure and make sure you're applying relevant tags to your own content so it can metastasize throughout the Halo 3 community. Episode 129 of Reclaimer is online and ready for your viewing. You don't need to be fortunate to discover it. Just click on the link below. The Season Finale to Forecast the Series is now online. Craig and the gang must stop Timmy before his plan to destroy Weather Station Z 41 comes to fruition. DtHclan finished the eight episode of the Halo 3 Mythbusters series. Confirmed Win. Check it out below. Need a holiday wallpaper? Duck down, then download. Rambo695's sweet Halo 3 wallpaper has inspired the same reactions you'd see if you could peek under the helmets of the ODST squad being tormented by this Brute and his Chopper. Check it out. It's pretty sweet. Can't Get Enough Halo 3 Comics? We didn't mean to down the site. Honest. To make up for it, we urge you to have a read and hit the link below. It's good stuff. My name is Adam Susskind. You may know me from a post about a week ago on the Bungie Blog. 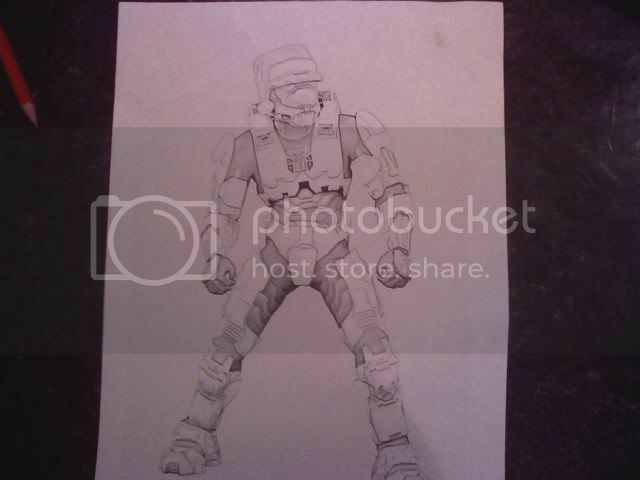 I am the writer of a comic series for TTL Demag0gue of Reclaimer fame. Among the Halo community his name has become synonymous with halo comics, and his series has taken off. He recommended that I promote my work a little bit, so I find myself here, among the fans of a game that gave us the power to choose and to create. We'd been having some technical troubles since the post here on Bungie about a week ago, and now that they are fixed, I am inviting anyone who has ever been interested in Halo fiction to some and enjoy Chaos Theory, a new type of comic. Every Tuesday (everyone hates Tuesday) I come out with a new episode, and I don't mean page. Each one is about 20 pages and you can enjoy it at your leisure. I hope that you add this comic to your Internet List of Things-To-Do. ForgeHub is back in our 5th postcast form, bestowing holiday wishes upon you! Well, we're finally back, and this time we bestow holiday wishes upon you! We have a nice holiday remix of the Forgecast theme, and the Forge Hub Mailbag segment makes a return. This edition of the Forgecast is filled with some surprises, along with the usual banter we all know and love. So sit back, sip some eggnog, and enjoy this special holiday edition of the Forgecast. Right click the link and go to Save As... to download. The winner of the Christmas-themed round of the Happy Halodays contest at HaloBabies.net has been announced. A tale of man versus van. BWO Magoogam won't be finishing his Christmas drawing... anytime soon, that is. "I was out buying Christmas presents for the kids on my street, when I tried to hail a taxi. As I stretched my arm out, I was shoved onto the road by a running passer-by (it was unintentional). As I stumbled, a van hit my arm at over 30mph. Luckily nothing was broken, but the bone was completely dislocated. I tried to pop it back into place, but I only did more damage. I regret to inform you all that I won't be finishing my drawing before Christmas." The 8th episode of Forecast the Series has been published on Young Street Production's YouTube page. Timmy is back and he's determined to finish what he set out to do years ago. Video and linkage below. Starting today Tuesday, December 23, you can download the Xbox Original, Halo: Combat Evolved, at a discounted price of 600 Microsoft Points (marked down from 1200 MSP). This deal is part of the Xbox LIVE Marketplace Holiday Deal of the Week. If you have not already bought this, there’s never been a better time. Even if you have the original disc, it doesn't hurt to have an extra copy on your 360's hard drive. You know. Just to be safe. These "Hateful Highwaymen" have been the bane of many a recruit on their way to completing a Legendary run, "All Skulls On" or otherwise. Though it's been said that Jackals don't have the disposition required for expert marksmanship, many a marine's melted helmet begs to differ. This week's trio of screenshots comes to us by way of, you guessed it, the All Tags tool. If you've yet to learn how to use it, and you're still spamming our private message boxes to suggest that the Spotlight screenshots are terrible, shame on you. Take a quick peak around this rock, please. It's safe, these Jackals are terrible shots. Trust us. Exchange numbers with the girl gamers, fo sho. "MLG stands for Major League Gaming. PRO stands for Professional. Bryan's latest Halo 3 inspired song details why he would like to be the next big star in the MLG. Some viewers not fully aware of the MLG may have trouble understanding parts of this song. Get informed! But you can still bob your head to the beat anyway. " "Well, that's a new wrinkle in the landscape..."
Episode 127 of Reclaimer is now online. Things are getting more than a touch bizarre. Hit the link below to take a look.